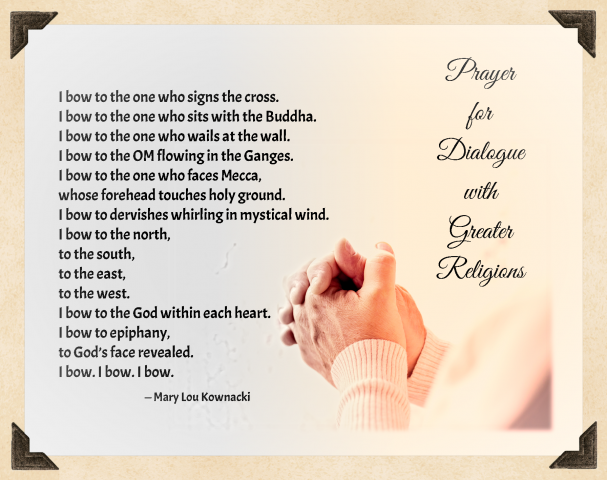 Sister Anne’s response included song and prayer: Peace, Salaam, Shalom by Emma’s Revolution and the Prayer for Dialogue with Greater Religions by Sister Mary Lou Kownacki. “Both were powerful and meaningful,” shared Sister Rosanne Lindal-Hynes who was able to be present for the event. Click here to read local coverage.